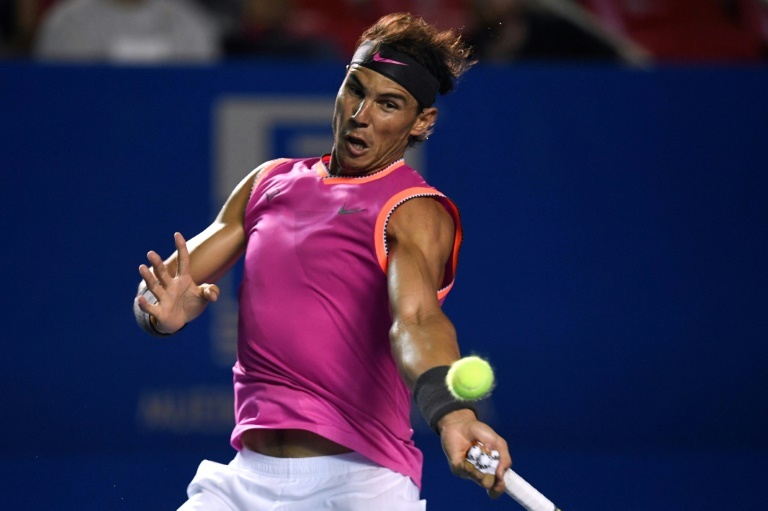 TENNIS NEWS – Rafael Nadal and Novak Djokovic will face key physical and mental tests as the European clay-court season kicks off on Sunday at the Monte Carlo Masters. For 11-time tournament champion Nadal, it's all about his troublesome left knee. For Djokovic, the major goal will be to emerge from a minor slump which left the world number one short of the quarter-finals at both the Indian Wells and Miami Masters events last month. The Serb, embroiled in ATP political issues as president of the Player Council, has admitted to recent distractions. "I just had way too many things off the court. I guess that affected me a little bit on the court," he said after going out in the last 16 in Miami. Djokovic has plenty on the line at his home base in Monaco, with the 31-year-old looking ahead to completing a possible "Djoko Slam" with a French Open title in two months. He collected trophies at Wimbledon and the US Open before defeating Nadal last January for a seventh title in Melbourne. "I grew up on clay, so I like playing on it, though statistically hard court was always my most successful surface," Djokovic said after exiting in Miami. "I definitely have to play better." While revealing no details, the winner of 15 Grand Slam titles admitted that he was not particularly fit for the American hardcourt swing. "I didn't feel my best health-wise, as well, in Indian Wells and Miami. But, hey, look, you learn that's life." The Nadal camp has put a positive spin on the condition of Spain's king of clay, posting on social media footage of a final practice session before he left his Mallorca home to train at the Monte Carlo Country Club. The 17-time Grand Slam winner, and defending champion in the principality, has not competed since withdrawing from his semi-final clash against Roger Federer at Indian Wells a month ago. The distraught Spaniard flew home for medical tests and can only hope that his chronically bad left knee will hold up in the gruelling run to Roland Garros, which begins May 26. Nadal is defending a massive haul of more than 4,000 ranking points from 2018, thanks to titles in Monte Carlo, Barcelona, Rome and Paris. But injury also blighted him last season, with the Spaniard only able to compete on a limited basis. "It's tough to play only nine events a year and to finish only seven," he said. "In times of injuries, I want to suffer less." Federer, a four-time Monte Carlo finalist, is again skipping the renowned event, with the 37-year-old set for a return to clay for the first time since 2016 when he plays next month at Madrid prior to returning to Roland Garros. Should he go out early, the Rome Masters a week later is holding a wildcard for the Swiss icon. The opening of the clay campaign could mean a fresh start for No.3 Alexander Zverev, who lost the Acapulco final last month to Nick Kyrgios but has done little else of note in 2019 after winning the ATP Finals in November. He crashed out of this week's Marrakech tournament in the second round. The German will hope to rediscover his form in Monte Carlo, where he is now based. His best showing at the event was a 2018 semi-final, which he lost to Kei Nishikori. Hoping to again pose a threat on clay will be last year's Roland Garros finalist Dominic Thiem. The Austrian, ranked fifth, made a breakthrough with his first Masters 1000 trophy at Indian Wells, but lost days later in the Miami first round. Thiem has all but dropped longtime mentor Gunter Bresnik, instead working with travelling coach Nicolas Massu, the 2004 Athens Olympic gold medallist. Thiem has never been past the Monte Carlo quarters, losing to Nadal at that stage a year ago. Nishikori is back for his first clay appearance since Paris last June while Wimbledon finalist Kevin Anderson has withdrawn to give a healing shoulder injury another week of rest. Tenth-ranked American John Isner is also missing after suffering a foot stress fracture in Miami as he lost to Federer in the final. I'm a 56 year old man looking to meet women between the ages of 42 and 56. I'm a 53 year old woman looking to meet men between the ages of 41 and 58. I'm a 52 year old woman looking to meet men between the ages of 54 and 62.